Join along with Kaila and her fellow students as they walk you through test day and show you how to do fun karate techniques! 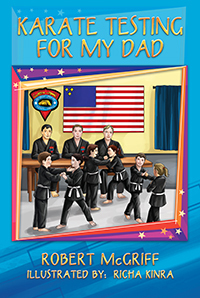 Here is a look at six year old karate student who will take you on a journey through testing day. She will begin when she puts on her uniform and enters the Dojo to stretch and warm up for testing. You will join her and her fellow students as they kick and punch their way to a higher rank belt. 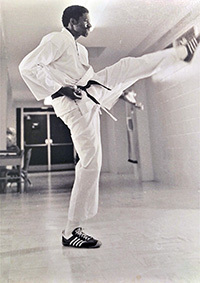 Mr. Robert L. McGriff was born in Jacksonville, Florida where he was taught Tae Kwon Do at the age of sixteen. In 1977, Mr. McGriff earned his first Black Belt in Pai Lum Kenpo system. He opened his own karate school in 1992 where he developed his own karate style of American Urakan Karate.